We started in the fitted wardrobe business in 1983, and Sliderobes became early leaders in quality sliding doors wardrobes. Specialisation, we believe, brings advantages to us and our customers. While we've expanded our product range since then we continue to specialise in made-to-measure, high quality furniture that makes amazing use of your available space. That focus on the optimisation of space, the minutia of every installation, the addition of style to every customer offering - these drive our continuous innovations in service and products. We seek always to use the best materials available. 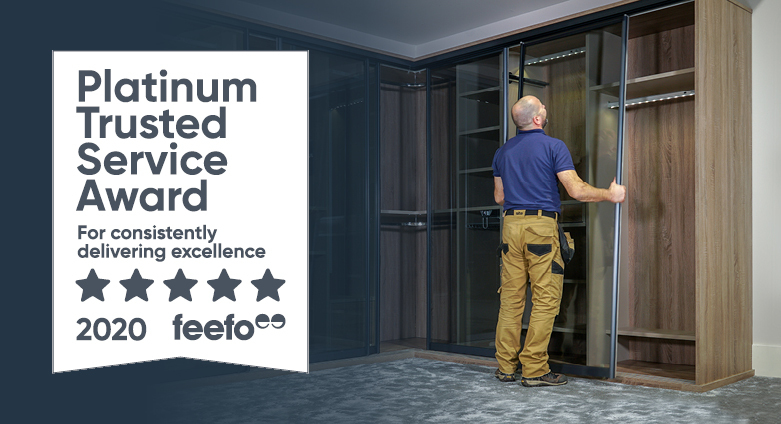 Combining the best internationally available materials and components, along with local manufacture and our own installation teams, ensures the best result for you. We're never happy unless our customers are. That ethos has been deeply embedded in our business from the outset. On the (rare) occasions we get something wrong, it hurts, and you can be confident we'll put it right.